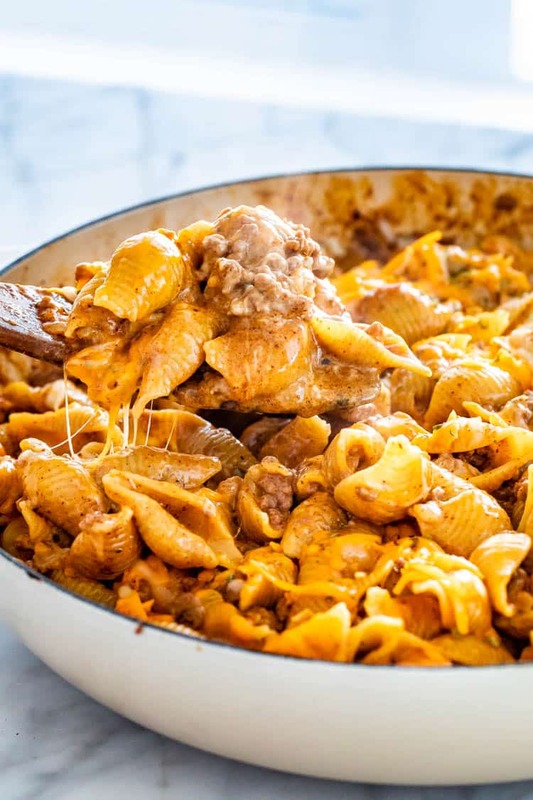 This Cheeseburger Hamburger Helper is a classic comfort food, but homemade and tastes way better. Forget the boxed version and make your own with just a few ingredients and ready in only 30 minutes. 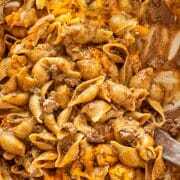 When I was in college I used to live on Hamburger Helper. 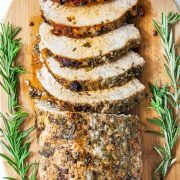 It was my go to meal because it was easy and quick to make. 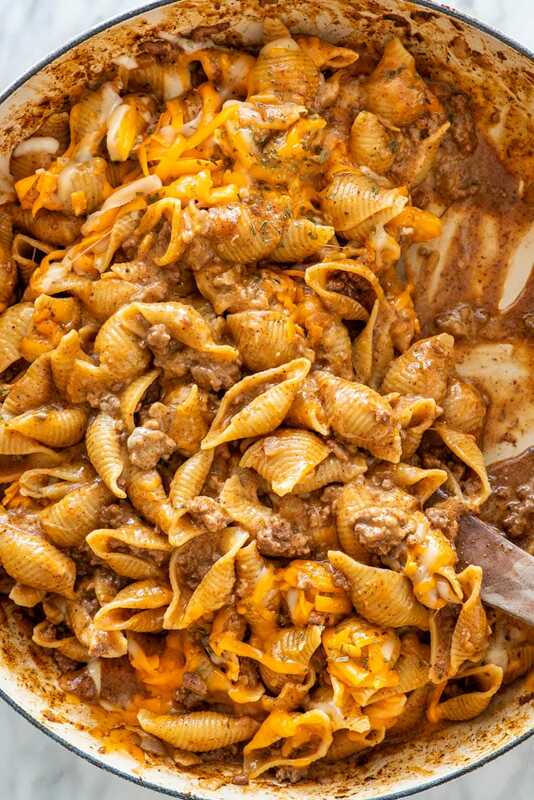 Since then I’ve made many of my own version of Hamburger Helper, but a lot better because I control the ingredients that go in it without sacrificing any flavour. In fact, my version is 100 times better than the boxed version, plus better for you. This version is the cheeseburger kind loaded with lots of ground beef and cheese. 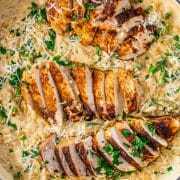 It’s such a family favorite, and in only 30 minutes, you can whip this up any night of the week. Trust me, everyone will be running to the table for this. 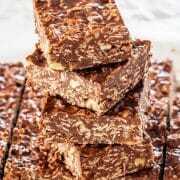 This homemade version is the healthier version of the popular boxed kind. 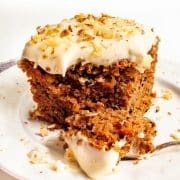 There are a few things I love about this recipe: how easy it is to make and no fancy ingredients. It’s a one-pan dinner making for less cleanup and it’s comforting and delicious. Here is what you’ll need to make this simple recipe. 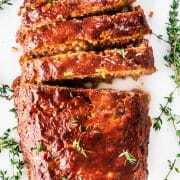 Be sure to scroll down for complete printable recipe. Olive oil – just a bit to sauté the onion in. Onion – one large onion for lots of flavour. Ground beef – I usually use the extra lean kind, but if you don’t have extra lean, you might have to drain some of the fat off. 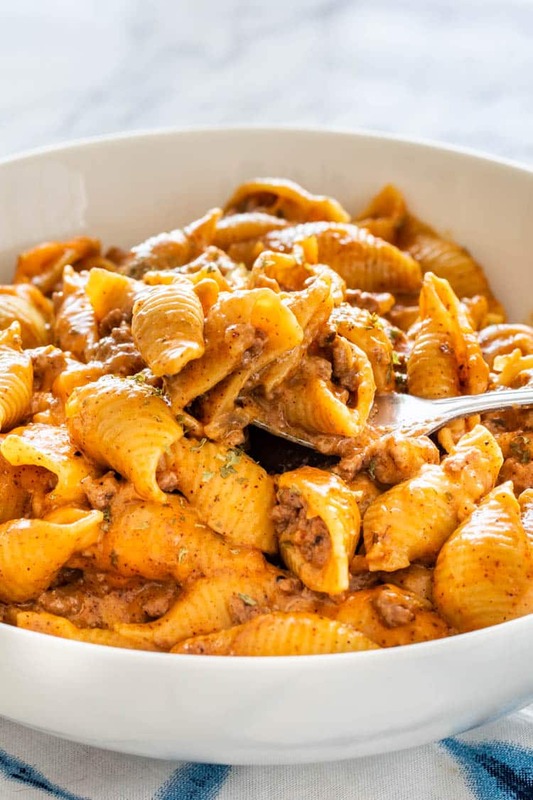 Elbow macaroni – or any other pasta such as shells. 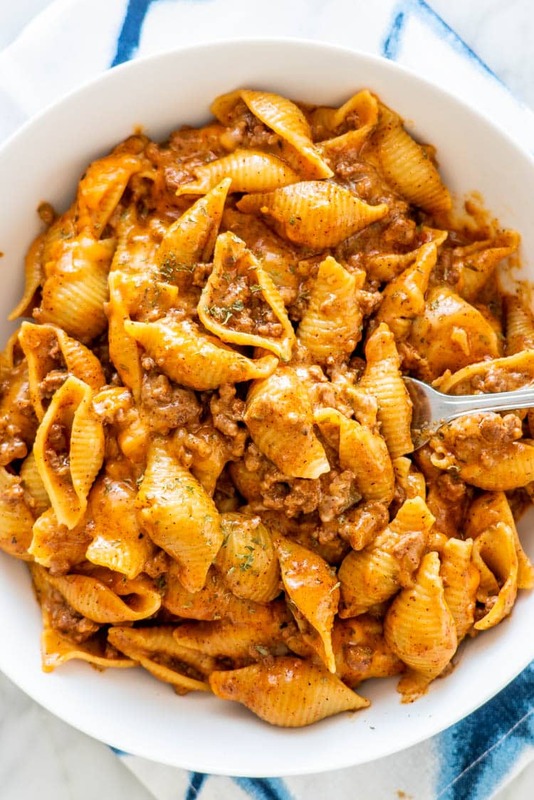 I love using shells because the meat sauce gets inside each and every shell. 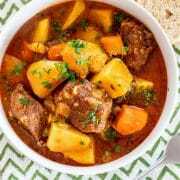 Chicken broth and milk – I prefer to use low sodium broth, you can also use beef broth. I use milk to make the sauce creamier. Spices – such as chili powder, dried oregano, garlic powder and some salt and pepper. Cornstarch – we just need a little bit to thicken the sauce. 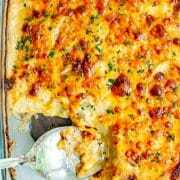 Cheddar cheese – lots of it, you can even mix it with some Monterey Jack. Making homemade hamburger helper is super easy. Here’s the kicker, you can do it all in one pot in 30 minutes or less! Heat the olive oil in a large skillet over medium-high heat and add the onion and cook for 5 minutes or until the onion softens and becomes translucent. Add the ground beef and brown for 3 minutes, or until it’s no longer pink. Stir in the cornstarch, then the spices. Add the pasta, chicken broth and milk. Stir everything together. Continue to cook for 10 to 12 minutes, or until the pasta is cooked through, making sure to stir occasionally so that the pasta doesn’t stick. Most of the liquid should be absorbed. Taste for seasoning and adjust with salt and pepper if needed. Stir in half the cheddar cheese and top with remaining cheese. Cover with lid and cook for 1 minute over low heat until the cheese melts. 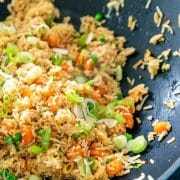 For serving you can garnish it with green onions and chopped tomatoes or just parsley. For sides, you can make a cucumber, red onion, parsley and tomato salad along with garlic bread. Or serve with a green side salad! 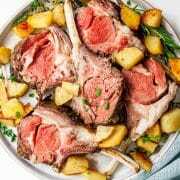 You can even serve it along some steamed veggies like broccoli, or broccolini, or even green beans. Leftovers heat up great the next day. Make sure the hamburger helper has come to room temperature completely before proceeding. Store leftovers in an airtight container in the refrigerator for 3 to 4 days. 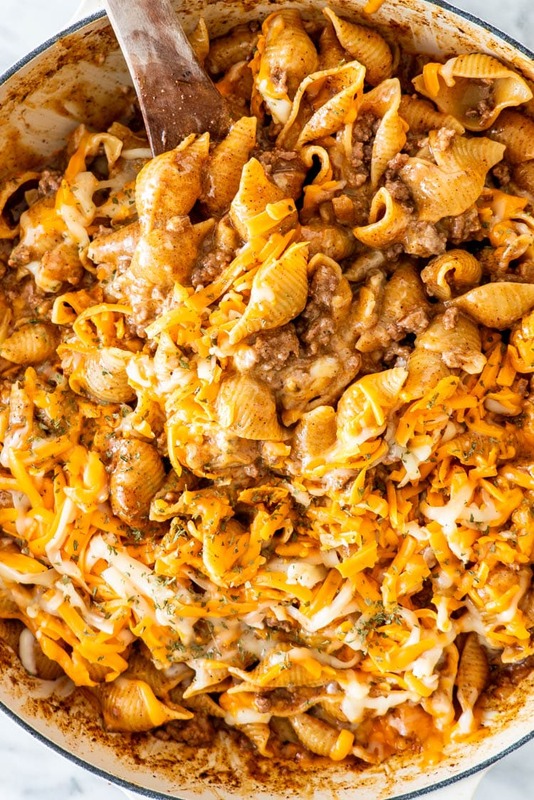 Can You Freeze Cheeseburger Hamburger Helper? Yes, hamburger helper is a great food to freeze for future meals. Store in an airtight container in the freezer for 3 to 4 months. This is one of those dishes that my cookbook is all about. Fast meals, delicious, comforting, all in one pot and in 30 minutes or less! 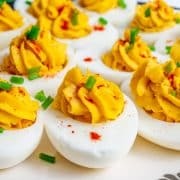 A dish your family will love! 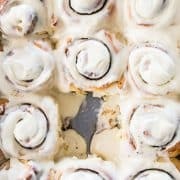 Ingredients you likely already have in your pantry! Heat the olive oil in a Dutch oven or large skillet over medium-high heat. Add the onion and sauté for 5 minutes or until the onion softens and becomes translucent. 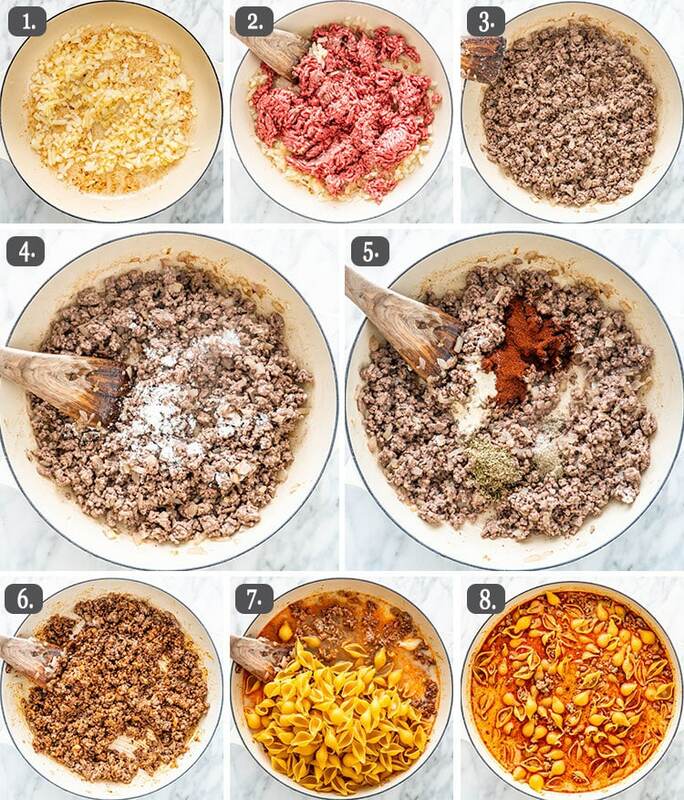 Add the ground beef and brown for 3 minutes, or until it's no longer pink. Sprinkle the cornstarch all over then the rest of the seasonings and stir. 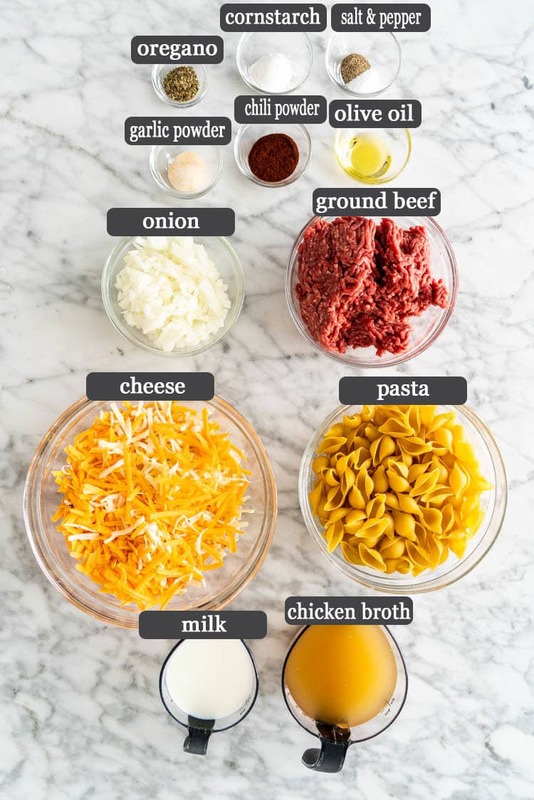 Add macaroni or pasta of your choice, chicken broth and milk. 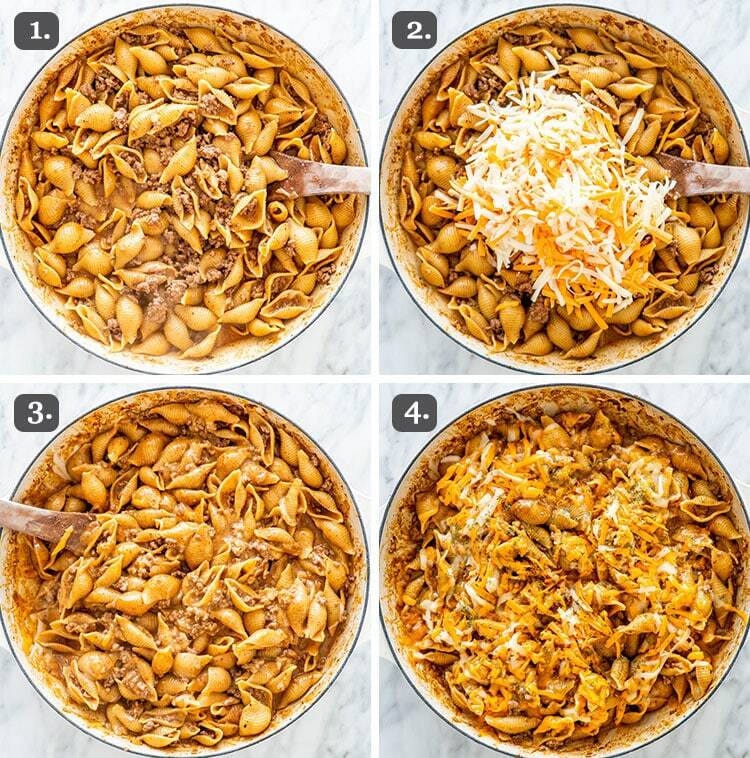 Stir everything together. Continue to cook for 10 to 12 minutes, or until the macaroni is cooked through. Make sure to stir occasionally to avoid sticking. 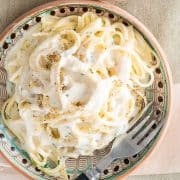 Most of the liquid should be absorbed after 10 or 12 minutes and the pasta cooked al dente. Taste for seasoning and adjust with salt and pepper. Leftovers: Leftovers heat up great the next day. Make sure the hamburger helper has come to room temperature completely before proceeding. Store leftovers in an airtight container in the refrigerator for 3 to 4 days. 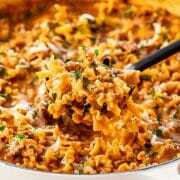 Freezing: Hamburger helper is a great food to freeze for future meals. Store in an airtight container in the freezer for 3 to 4 months.